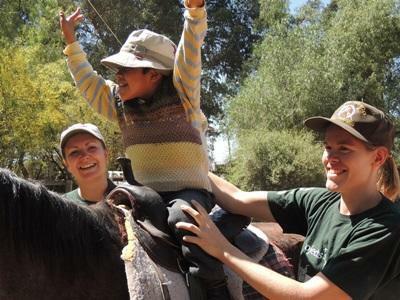 Projects Abroad volunteers with a love for horses and helping others could find themselves working directly with children on the Equine Therapy project in Bolivia. Volunteers work with children from a variety of backgrounds, including special needs children, and use a unique form of therapy to aid their development. Whether you are a gap year student, a career breaker, or a volunteer looking to make their vacation more worthwhile, you will have an important role to play in the lives of Bolivian children. The Equine Therapy project combines elements of both our Care work and Animal Care projects. 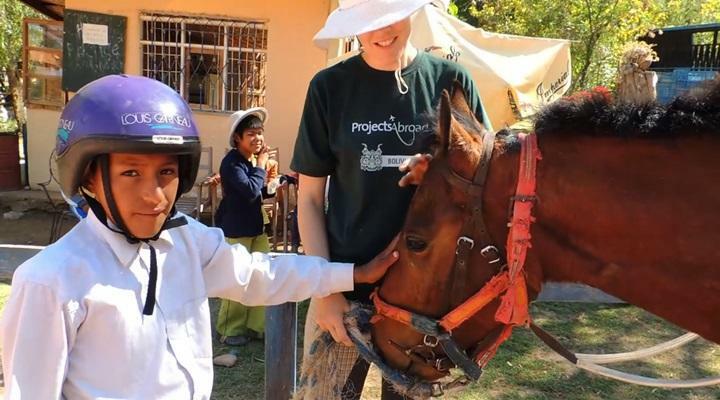 You do not need any specific experience to volunteer on this project, but having a love for both horses and children is essential as you will be involved in looking after the horses and also caring for the children. 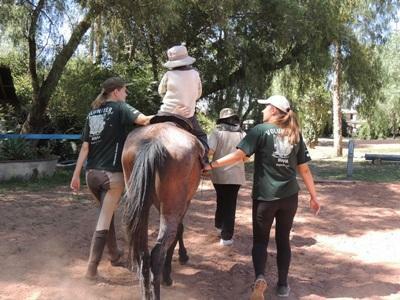 Projects Abroad volunteers work with the Escuela de Equinoterapia Cochabamba, which started in 1992 with the aim of helping disabled children both emotionally, physically, and mentally. The centre has the capacity to look after over 80 children from a range of backgrounds. In addition to working with disabled children they also receive children from the streets and children with drug addictions. A trained horse can aid the recovery of children with disabilities, as it enables the child to focus on movement, spatial orientation, posture, language, and muscle control. Children who have come from the streets or who have suffered from drug addictions form close emotional bonds with the horses allowing them slowly to take on a new focus and more responsibilities before re-entering into society. As a volunteer, your role will vary each day, and you will have the chance to get involved in a diverse range of work and experiences. The effect of the therapy varies with each child and your input as a volunteer is crucial. By showing enthusiasm and a passion for horses you can play a part in their enjoyment and help to create a positive experience for every student. Your very presence will help to make each session enjoyable, which is vital to maintaining the interest of the children. It is also important that you spend time with the horses warming them up and preparing them for the children when the session begins. For many of the new children joining the centre it will be the first time they come in contact with a horse and time is often spent familiarizing the children with each of the horses before therapy begins. Finally, you will receive regular contact with the children and attend the classes and spend time learning the theory behind the therapy. Volunteers work Monday to Friday, and Mondays are spent grooming the horses, riding the horses that are not often used, and helping to clean the centre. Volunteers are not required to speak Spanish, as the placement staff can all speak English. However, an intermediate level of Spanish will be an advantage when communicating with the children and their families, as they will most likely not speak any English. You will receive guidance not only from the Projects Abroad staff, but also from your supervisor at the centre.